Is Foursquare about to become useful? Push notifications to remind you to buy the milk on the way. Unlike in the US where take up is apparently booming, we seem to be a little ambivalent about location based apps here in the UK. With Facebook effectively canning Places Foursquare now has a significant lead over its rivals, however, whether Brits are checking in in big numbers is another matter. Each time I go to Arsenal’s Emirates Stadium I always see how many people have checked in with me and out of a potential crowd of 60,000 that number is rarely above 30. It seems that even if we have signed up to use Foursquare we are not too keen on checking in and sharing our location. Also we wrote a while back about how people were getting a little tired of Foursquare as a game and wanted more useful services from the app. It certainly seems that in big US cities Foursquare users are being offered some tasty freebies and deals. This isn’t the case in the UK. So Foursquare needs a magic ingredient to get us using the service once again. In short it needs to be useful, which is why the announcement of a push notification addition to the Foursquare API is going to be big news. We will be able to receive location sensitive pushes from the service which will transform the way we use it. So in theory if a friend is nearby at a coffee shop you could get a message telling you that they are there and via Foursquare instantly message them back asking them to get you a Flat White. Or if you need to pick dry cleaning up, buy presents etc Foursquare can give you a little push nudge to remind you when you hit the High Street. 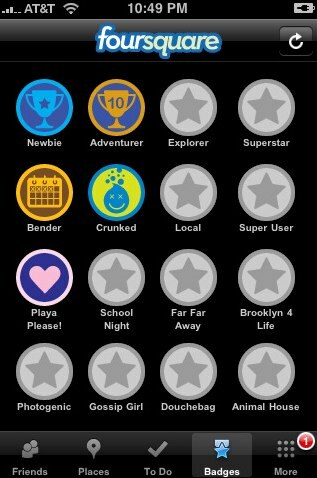 Ultimately the ball is in the court of Foursquare developers to come up with some compelling features. If they do it might just make a game that seems to become more pointless as every week goes by a whole lot more useful. Incidentally the announcements comes hot on the heels of news from Foursquare’s rival service Gowalla that it is going to focus on producing city guides. Gowalla CEO Josh Williams confirmed earlier this week that while checking in remains central to the way the app works, in the future sharing in formation about places will be a core feature of the service. Windows 8: What is it and why should we care? Thumbs Up&apos;s iPhone powered Dancing Cat speaker – quite!